Warning: highly dosed awesomeness in that video. Consume responsibly! but in this day and Age, released for PC means ? (windows, mac, linux) ? That means ... i have to finish my mod Enigma ASAP!!! Amnesia The Dark Descent released in 8th of September 2010. Amnesia A Machine For Pigs released in 10th of September 2013. Now SOMA coming out in 22th of September this year. Looks like you guys seems to follow the pattern of releasing your games in September now, lol. (05-29-2015, 05:05 PM)Neelke Wrote: Amnesia The Dark Descent released in 8th of September 2010. Amnesia A Machine For Pigs released in 10th of September 2013. 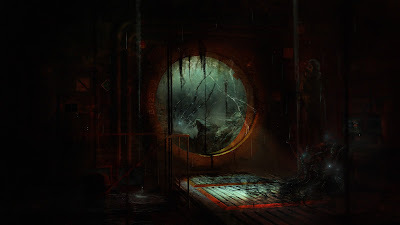 Now SOMA coming out in 22th of September this year. Does other users here have the same issue? Anyways, Maybe Jens or 1 of the moderators can fix the trailer! So when can we pre-order and are their any collector editions?